Batiste Dry Shampoo is speedy, kicking oily roots into touch with a quick burst, it gives dull, lifeless hair an instant makeover without water. For extra oomph, body and texture. 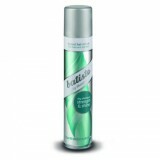 Batiste is also a one-stop styler so you never need to worry about skipping a shampoo. Batiste products are available from Clicks stores and online in South Africa, Namibia and Botswana.